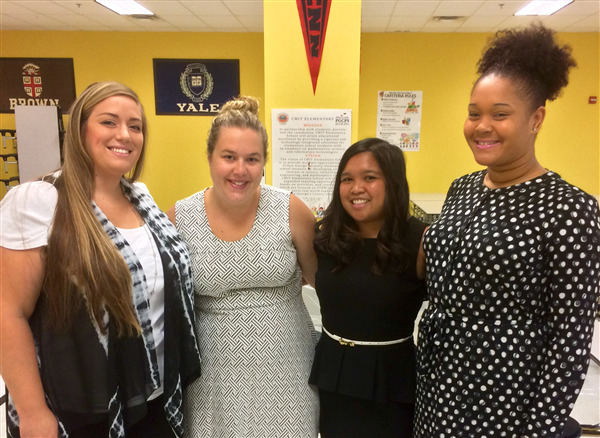 Meet the First Grade Teachers! Welcome to School Year 2016-2017! Welcome to the new school year 2016-2017! I hope you had a wonderful summer. I also hope everyone is relaxed, recharged and ready to start a new school year. I am so pleased to be part of such a great family and to work together in an amazing learning community. - Each year brings positive change. This includes new additions to our staff. I am delighted to welcome our new staff members. To see our staff list for 2016-17 please visit our school website. - We are expecting the total enrollment to be 500 students in this year. - Several maintenance and construction projects were completed during summer. We welcome and value everyone’s positive energy and dedication to excellence in education, and We look forward working together to reach the common goals of nurturing responsible, caring scholars and promoting high-level learning. All signs point to another incredible and productive school year. Together, I know we will make this year a great school year. Welcome back! To be able to have smooth before and after school transitions we need your help. Please check out the map above and follow the traffic flow when you are here in the morning and afternoon. PLEASE NOTE THAT THERE IS ONE POINT OF ENTRY FOR CARS AND ONE EXIT. Please ensure that you are following this pattern. This is to ensure the safety of our staff and scholars. Students picked up after 3:10 will be charged a $20 emergency drop in Enrichment Fee per child. Payable upon pick up. - Students can begin to arrive at 7:35 a.m. and classes begin at 7:55 a.m.
- Students who enter the building after 7:55 a.m. will be marked tardy and should enter through the front to receive a late pass. Parents must sign their student in after 7:55 am. -The CMIT-ES school day ends at 2:20. All students should be picked up no later than 2:55 p.m. Students picked up after 2:55 p.m. Must be signed out by a parent. -Any student who is not involved in an after-school activity, and is still on the premises after 3:10 p.m. will report to the Daily Enrichment Program. The fee for the Daily Enrichment Program is $20 payable upon pick up. The front office closed at 3:10 p.m.
Chesapeake Lighthouse Foundation (CLF) Advanced Math Program (AMP) prepares students in grades 4-12 for different levels of competition math. AMP runs almost every Saturday and will begin on September 10th this year. Every Saturday, students work in small groups with an instructor from 9AM to 1PM. We split the classes based on mathematical ability so that students can work with others around their same level. Our middle school classes focus on MathCounts preparation.The High school students primarily work for college organized math contests. The AMP program is only open to students from CLF schools. We are holding tryout dates all throughout August: every Saturday from 9:30-11:30 AM and every Monday from 5-7 PM. Students only need to attend one tryout date, but we have made many dates available to accommodate busy summer schedules. If you have any questions at all, please do not hesitate to email us at advancedmath@clfmd.org. As required by the PGCPS (Administrative Procedure 4215), all volunteers must follow the security process. For about $7.00 you can get a commercial background check. This will expire at the end of every August after each school year and allows you to volunteer at school and on field trips. The second option is for about $60 - you can get fingerprinted. The fingerprinting is good indefinitely as long as you volunteer at least once a school year. Both services are available Monday through Friday from 8 am to 11:45 am and 12:30 pm to 3:45 pm at the Sasscer Administration Building: 14201 School Lane in Upper Marlboro, 20772. Please contact Mrs. Virgil for further information regarding the Volunteer process at CMIT ES. Students and their families are asked not to schedule any vacations or trips to coincide with school days for the 2016-17 school year. Maryland state law requires that all students between the ages of 5-16 attend school regularly. Absences from and tardies to school is disruptive to the learning process. Studies have shown that students who attend school on a regular basis earn better grades and learn more than those who are frequently absent. Students will earn incentives for Perfect Attendance. Please note that June 12, 2017 – June 15, 2017 are assigned as inclement weather make-up days and students may be required to attend school on those days, depending on the weather conditions throughout the Winter. Please do not any family vacations until after June 16, 2017. CMIT ES cafeteria is not furnished with a microwave. We will not be able to warm up your scholars lunch for them. Please send the food in a disposable &/or a recyclable container. Household may apply for benefits online at www.applyforlunch.com. Only one application per family is requested. Families are instructed to complete the application on line. For more information please contact the Food and Nutrition Services Application Center at 301-952-6517. Your child will be excluded from school as of August 22, 2016, if proof of the above identified immunizations has not been received by the school. It is strongly recommended that you provide proof of these immunizations as soon as your child has received their vaccines. For families with insurance, please make the necessary arrangements with your primary care provider. In addition, local pharmacies and urgent care centers provide immunizations. If you do not have insurance, please contact the local Health Department at (301) 583-3300 or you can visit August 8-12 • 9 a.m. - 4 p.m.
August 23rd is the first day for all students. Parents are expected to arrive by 7:30 am and doors will be open for students at 7:35, everyday. The students will have 20 minutes to eat breakfast, and stay in the homeroom to listen to the morning announcements. Arrivals after 7:55 am are considered tardy and those students will not be ready for the day when the first period starts at 7:55 am. Parents are asked to consider the traffic which is always busy in the morning. Pick up is at 2:30 pm and 2:55 is the latest pickup time without penalty. Please be reminded that CLF does offer after school enrichment. Thank you to all the parents and students that attended the Orientation last Thursday, August 18. We are so excited for what will surely be an amazing year in Kindergarten! For those we have not yet had the pleasure of meeting, we cannot wait to meet you for the first day of school on Tuesday, August 23! The Kindergarten Team has a lot of great learning planned for the year, and we can't wait to teach and grow with the new Kindergarten Classes of CMIT Elementary! This is my 13th years in Prince George's County Public School. I was at Greenbelt Elementary School for eleven years. 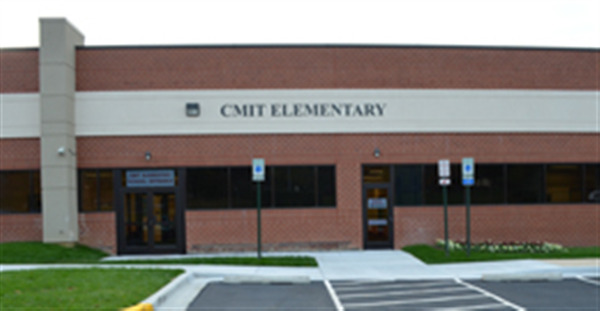 This is my second year at CMIT Elementary School. I enjoy my family, reading and hikes. I am looking forward to a great year. This is my third year teaching and my third year at CMIT. I am so happy to be a part of this wonderful school, Chesapeake Math and IT Elementary. I graduated with my B.A. in Elementary Education from Notre Dame of Maryland University. I enjoy my family, shopping, cooking, and baking. I have dedicated my life to education. This is my 11th year teaching within Prince George's County. I have my B.A. in Elementary Education from Oakwood University in Huntsville, AL. 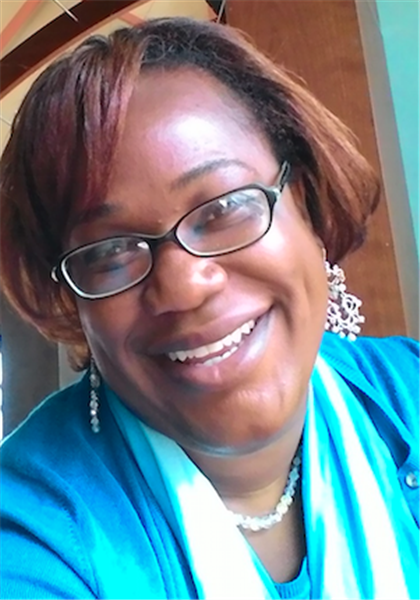 I am currently a grad student at Bowie State University, specializing in reading education. My projected graduation date is May of 2017. (YAAA!!) I am a proud parent of a smart and eager five year old little girl. I enjoy naps. 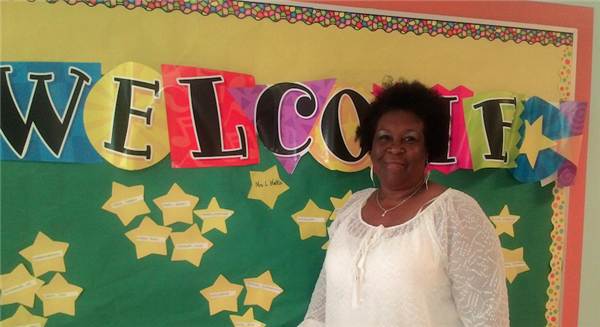 I am thrilled to welcome your children into the new school year! This year we will experience various milestones that will contribute to your child's academic success. Our school has high expectations for this school year and we know it will go a long way in enriching your child's life. I am a first generation American as my family is from Guyana. I was born in New York and raised in Atlanta, Georgia. I attended Howard University for my B.S. in Human Development. I also obtained my master's in Elementary Education from Howard University. I enjoy spending time with my family, reading, shopping, traveling, and blogging about the experiences that I encountered during my amazing trips. We are elated to have your child in the best grade in the school-3rd Grade! We have some new members to the team this year. As you may know, CMIT have expanded and we now have four 3rd grade classes. Please visit our website at grade3.cmitelementary.org to meet the new teachers. We have high expectation for our students and we look forward sharing those expectations with you in our individual newsletter that we will send home in week 1. Please note that our primary source of communication will be Class Dojo. If you have not linked up with us, please notify your child's teacher. We are very excited to start of the new school year. Please sign up for classdojo as soon as you recieve codes. Please complete all forms that are sent home on the first two days of school. Please adhere to the dress code from day one. Our Fourth grade schedules will be distributed on day one. P.E. will be on Monday for scholars in Mrs. Mccain's class, and Fridays for scholars in Mr. Mogilski's class. Below you will find a list of supplies. These are the minimum supplies to get started. We look forward to a fun filled year of learning. We will go on several field trips this year. Parents will be required to get a background check or be fingerprinted to attend school trips. Let's work together to help our scholars be all they can be. The fifth grade team would like to welcome our returning Fifth graders for the 2016-2017 school year. As Tech-Savvy Tigers we will take great pride in all areas of school life. This includes academic achievement and social conduct. This year, our fifth graders will engage in meaningful learning experiences both on and off campus. Teaching and learning is what school is all about, so all learners will focus on task completion of classwork, homework, projects, and independent studies. Parents we welcome you back. We look forward to working with you to ensure that our students meet all their learning goals. We will communicate with you via the class website, as well through classdojo. We value your immeasurable support and look forward to a year full of learning and growing- academically and socially. To our Fabulous Fifth Graders, we say, Welcome Back! Bring the learning on. We are looking forward to a very successful and rewarding school year. Consider the following quote by Norman Vincent Peale. -Become a possibilitarian. No matter how dark things seem to be or actually are, raise your sights and see possibilities — always see them, for they’re always there. The 5th Grade teachers, Ms. Cooper and Mrs. Watkis, look forward to welcoming the 2016-2017 incoming students. There are many exciting things ahead of us this year! Students will be challenged to develop prior concepts taught as they work on mastering new ones. We want to ensure that all students get the most from their classes; therefore, full participation, preparation, and safety will be expected each day of all students. This should help students feel comfortable taking risks while taking ownership of their learning environment. We are encouraging parents to contact us directly as we strive to build a sense of community within the classrooms. Below is a breakdown of our roles and email addresses. Please check our grade level website and Class Dojo for daily and/or weekly communication. Again, welcome - Ready, Set, Go... Tigers! o Health, Mathematics, Science, and Social skills. It is with great excitement that I will serve the CMIT Elementary School community in the capacity of Professional School Counselor once again for our 2016-2017 year together! I am eager to partner with you, brainstorm and engage with you, in all areas of support of your children’s education. 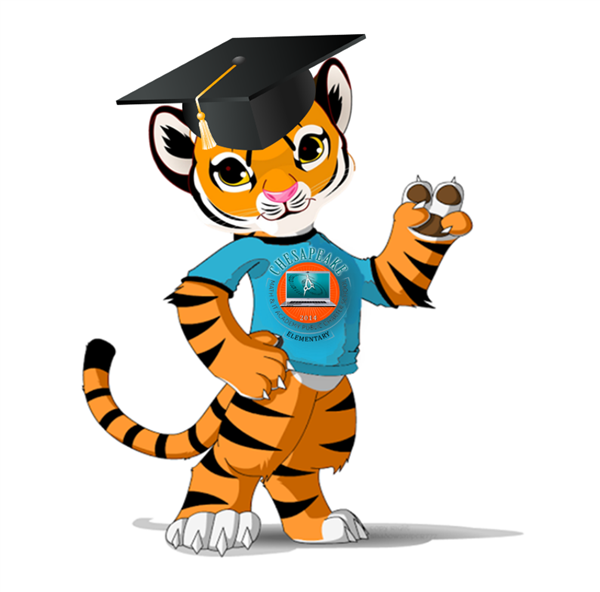 With focuses on Academic, Career and Social/Emotional development, we will work together as a team to support your tigers to be successful during their time at CMIT, and beyond our school hallways. The Elementary age is a critical time in learning and developing self-concepts and understanding capabilities. From tying one’s shoes to knowing how to research and write a formal essay, our scholars are ever changing, growing and maturing during their time in elementary school. And, with the world in the state that it is today, our country, and our neighborhoods, our youth are exposed to a lot, and not always age appropriate content and/or experiences. This year, we are going to delve deeply into the meaning of our school motto and work through focused Character Education to understand what it looks like, sounds like and feels like, when we “R.O.A.R” and are truly living and behaving as a CMIT Tiger. I will be working with our students on their capacity for understanding Social Emotional Language (SEL) and how we communicate effectively with others, and within ourselves. I will provide Individual Counseling, Group Counseling, Classroom Guidance, and also Parent Workshops this year. I will host many opportunities to volunteer, as we have seen the greatest, strongest, most successful way to communicate the importance of school and education to our children is to show up. Research shows that students whose parents are involved in their education have better grades and fewer discipline problems, Wow! Whether you have minutes or hours, your ideas, your talents and your presence is critically important, and I will work with you to ensure you are able to share your unique skills and character with our community. Please check and often visit the "Guidance" tab on the CMIT-ES website, as I will update the page with ideas, articles, projects, opportunities, and more(!) that I come across and find relevant to the work we are all doing. Here is to our 2016-2017 year together! 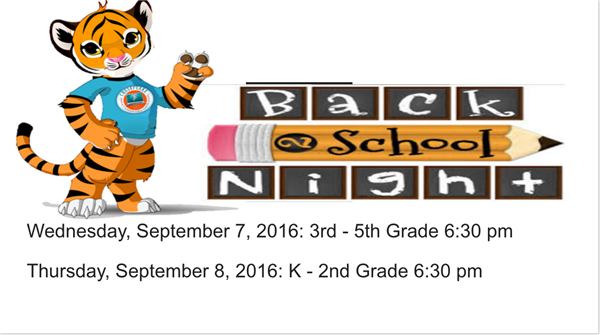 Welcome back Tigers to the 2016-2017 Tiger's Den. We look forward to seeing all of our new and returning friends. We wish all of our students a spectacular school year. Welcome! My name is Mr. Hatcher. 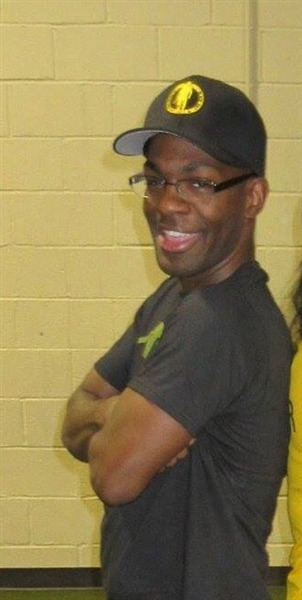 I will be your child's Physical Education teacher this year. We will be very active during class. The units for the first quarter are Spatial Awareness, Locomotor Skills, Fitness Concepts, and Kicking. I look forward to seeing the students this week! Safety Reminder: Please send your child to school with tennis shoes/sneakers on their PE days. Thank you. I am so excited about this upcoming school year and looking forward to going through the Lego process with you. In this school environment, I plan to make the world of learning Lego positive, safe, creative, and fun. I also would like to emphasize that we will form a partnership that will ensure students’ success in and out of the classroom. We will be working together as a team to educate and nurture your child. I am looking forward the first day of school. 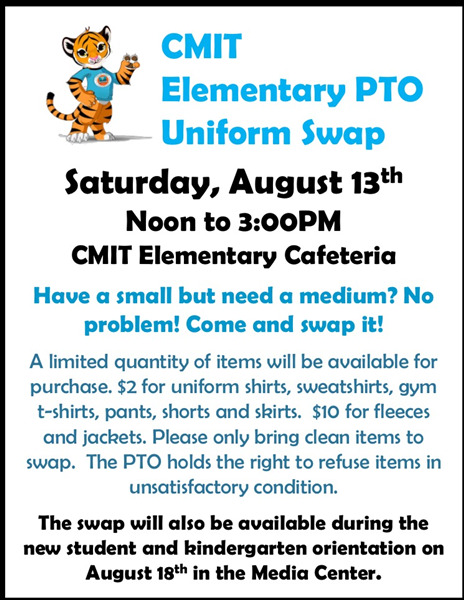 The CMIT Elementary PTO would like to inform parents of the current issues we are having with the uniform company. At this time, All American Wear is out of stock in all short and long sleeve CMIT polo shirts. All American Wear does have all other CMIT uniform items in stock including the gym uniforms, sweaters, vests, dress oxfords and fleeces. The store will be fully stocked again with the polo shirts by the end of September. Orders that have already been placed will be available sooner and filling these orders will take priority. All American Wear has issued an apology to the PTO and we would like to extend that apology to all of the CMIT Elementary Families. All American Wear underestimated the uniform needs for our school. A coupon will be sent out towards the end of September valid for use October 1st through October 31st. We are very excited to prepare for a new school year. We have two events coming up right away. One August the 13th from 12:00 p.m.-3:00p.m. We will have a uniform swap in our school cafeteria. Bring in clean uniforms your child has outgrown for a bigger size. You may also purchase uniforms for $2-$10! 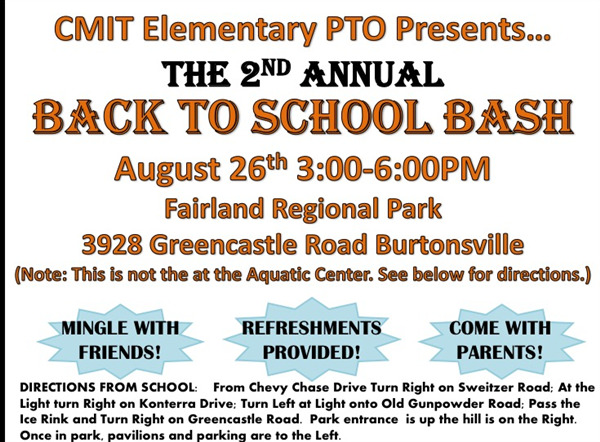 On August 26th, we will have our 2nd annual back to school bash, from 3:00 p.m.-6:00p.m. If you are available to assist, please email Mrs. Mccain. Thank you for your continued support! RSVP REQUIRED Space is limited. Note: The parents/guardians are responsible for the daily transportation of their child(ren). 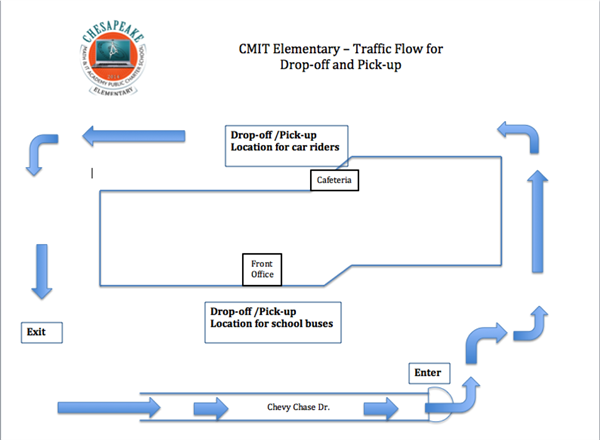 CMIT-Elementary does not provide transportation during student arrival or student dismissal. Please update the authorized person(s),including the bus company or the childcare business, that will pick up your child(ren)by submitting an email or written notice to , Crystal.Dubon@pgcps.org and the Principal’s Secretary, Stefanie.Powers@pgcps.org. Q: What is the earliest that I may drop off my child? Q: Where should we drop off students in the morning? A: All car riders should be driven to the rear of the building and dropped off at the cafeteria entrance. Parents must remain in the car in order to keep the process constant and mobile. Carpoolers that include 3 or more students may be dropped off at the main office entrance along with the bus riders. Q: What is the earliest time that I may pick up my student? A: Student dismissal begins around 2:30 p.m.
Q: What is the latest time that I may pick up my student? A: Student dismissal ends at 2:55 p.m. Otherwise, students will be sent to Enrichment and charged Enrichment late fees. Q: Where should we pick up students in the afternoon? A: All car riders should be picked up in the rear of the building at the cafeteria entrance. Parents must remain in the car in order to keep the process mobile. Please notice the flow of traffic and refrain from stopping in the middle of the pathway. If you need to buckle in your students we ask that you do not block the flow of pick up so that we can dismiss all students in a timely manner. Q: What is the latest time that I may pick up my student for early departure? A: Student dismissal ends at 2:55 p.m. Otherwise, students will be sent to Enrichment and CHARGED ENRICHMENT DROP IN FEES (PAYABLE UPON PICK UP). 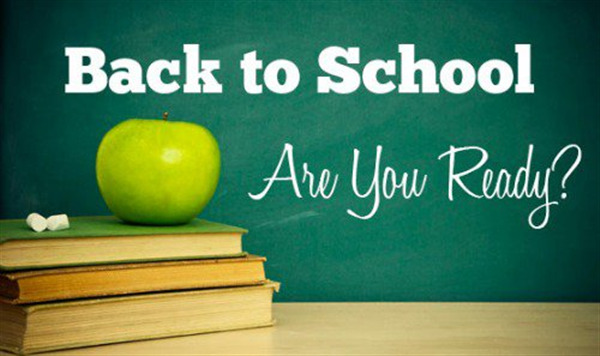 A: Students should be picked up from the Main Office no later than 2:10 p.m. To expedite the process, please send an email to the classroom teacher, the receptionist, Mrs. Virgil, EVirgil@cmitelementary.org and the School Secretary, Crystal.Dubon@pgcps.org and the Principal’s Secretary Stefanie.Powers@pgcps.org or submit a handwritten note in order to expedite the process. Q: What is the process for walkers? A: CMIT-Elementary does not recognize walkers since there are no residences within walking distance. Please call the Main Office at 240.573.7240 if you have unique circumstances relevant to the pick up of your child. Please consider that CMIT-Elementary does have a student body of 500 and we are unable to accommodate 500 different unique circumstances. Q: How do I order uniforms? A: All uniform shirts and tops are handled by the All American Wear. Please call 301-459-5000. All khaki or navy uniform bottoms may be purchased here or at any retail store that sells uniform pants, shorts (except cargo pants), skorts, etc. Full dresses are not allowed for females. The CMIT-ES logo must show during the school day. Q: When will the uniform policy be enforced? A: The uniform policy will begin during the first week of school. Please ensure that students are wearing a burgundy or royal blue polo until official uniform tops are received prior to September 19, 2016. Q: When does the student wear the Physical Education uniform? A: Please confirm the day of the week that the students enrolled in Physical Education class. Then, students report to school and wear the gym uniform all day. Parents may wish to send the students with wipes for sanitary purposes. Q: Must the uniform shoe have all black? A: Yes, the shoe worn with the uniform must be ALL BLACK. Any tennis shoes can be worn for PE and PE only. Q: How does a parent make an appointment to visit a class? A: Please email EVirgil@cmitelementary.org to request an appointment. Please allow up to 48 hours for a response to the email. All classroom observations will be limited to 15 minutes. Q: How does a parent volunteer for classroom assistance, chaperone of field trips, etc? A: Please email the classroom teacher to express an interest in volunteering. The classroom teacher will contact the parent to establish a date, time, and the nature of the task(s). however, we ask that parents participate in a brief orientation sponsored by the PTO prior to volunteering. Please contact the PTO at cmitespto@gmail.com for assistance. Q: How is a Parent Teacher Conference scheduled? A: Please email the classroom teacher to request a conference date. The parent will have no more than 30 minutes to meet with the teacher. The conference date scheduled by PGCPS is November 11, 2016. Any other conference requests must be scheduled with the teacher. Q: When will the Parent Teacher Organization Meet? A: The PTO is scheduled to meet on Tuesdays from 6:00 p.m. to 8:00 p.m. except when a holiday, school closing and/or early dismissal has been scheduled. 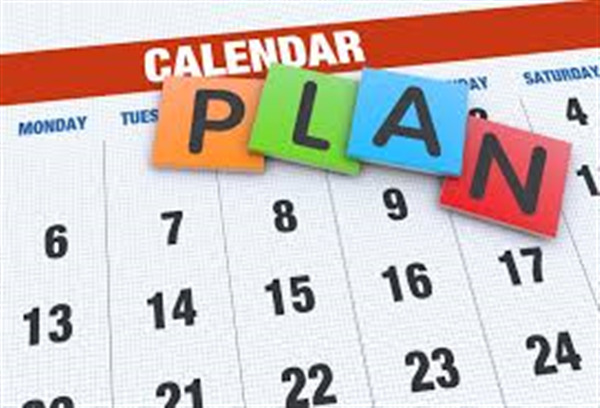 The following dates have been designated for PTO meetings: September 13, 2016; October 4, 2016; December 6, 2016; February 7, 2017; ; April 4, 2017; and June 6, 2017. Q: How do I know if my student is missing assignments and/or homework? How do I follow up on my student’s progress in the class? A: Please check the School Max website first. If there are further questions, email the teacher for information on your child’s academic progress or call 240.573.7240 to leave the teacher a voicemail message. Q: To whom do I express my concerns about academics? A: Please contact the teacher first. If the teacher fails to respond, then contact the Program Coordinator, ProgramCoordinator@cmitelementary.org. The next line of communication is the administration. Q: When will the home visits begin? A: Parents should submit a request to the teacher. A teacher and/or staff member will contact the parent to schedule a date and time that is convenient for the parent and the CMIT Staff. Q: What time does breakfast begin? 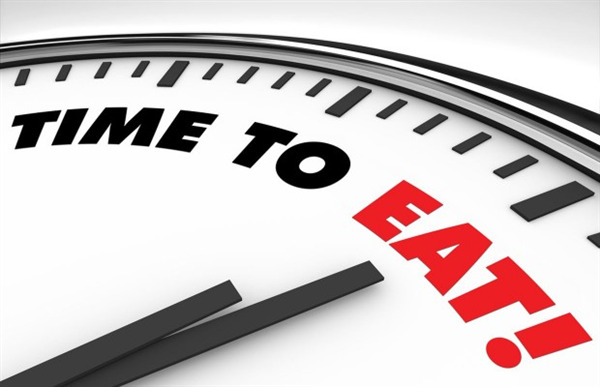 A: Breakfast is served from 7:35 a.m. to 7:50 a.m. in the cafeteria. Students arriving at 7:50 a.m. or later should have breakfast prior to being dropped off. Q: How much are the breakfast/lunch? Q: How do I pay for the breakfast/lunch? Send Cash payment to the school cafeteria so your child’s account can be updated. Visit www.MySchoolBucks.com to set up, review, and add money to your child’s account. The account balance follows the student as long as they are enrolled in a Prince George’s County Public School. Q: Where can I find the menu for the breakfast/lunch? A: Please click on the link for the School Menu.